Xiaomi’s upcoming flagship phone, the Mi 6 has been in the news for quite some time now. All the details about the phone have surfaced online along with the pricing details. But one thing still remains a mystery: the launch date of the phone. 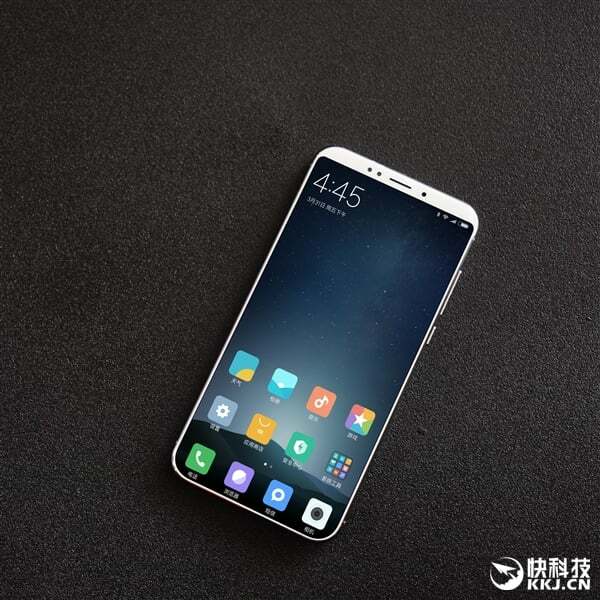 Xiaomi’ CEO, Lei Jun, earlier this month confirmed that the phone would be announced in April itself, but neither Lei Jun nor Xiaomi revealed a specific launch date. Now, a new Weibo post says that the phone will be announced in the second half of this month. The leak, however, did not reveal the exact date. If we consider today’s leak and earlier rumours, one thing that comes to our mind is the April 18 release date for Xiaomi Mi 6. Back in March, a few rumours popped online saying Xiaomi will announce the phone in China on March 18, days before the Samsung Galaxy S8 goes on sale in China. 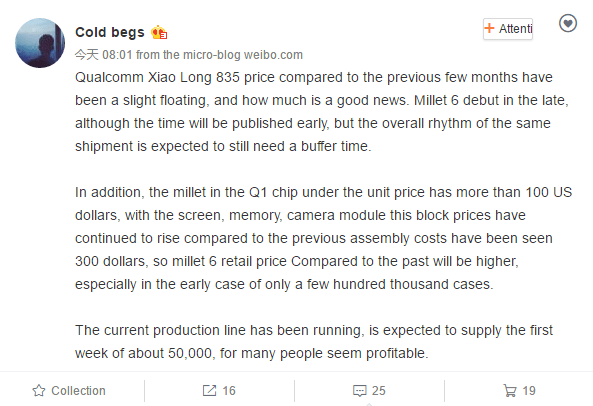 The Weibo post also says that Xiaomi will sell 50,000 units of Mi 6 initially and later on, will ramp up the production to meet the demand. The Xiaomi Mi 6 is rumored to come in two variants- the standard Mi 6 and the other one with Plus moniker. Of the two, the Mi 6 Plus will feature dual camera setup at the rear, bigger battery, and overclocked version of the Snapdragon 835. On the other hand, the Xiaomi Mi 6 will also be powered by the Snapdragon 835 chip but rumoured to come with a lower clock speed. As far as pricing is concerned, the Weibo post says that the Xiaomi Mi 6 would be priced tad higher than the previous Xiaomi flagship phones. Earlier rumours suggested that the Mi 6 will cost CNY 1999 (approx. Rs. 19,000), but this leak says that it will be priced around CNY 2099 (approx. Rs. 20,500). The little price hike can be due to the production cost and cost of the Snapdragon 835 SoC. Around Rs. 25,000 and with SD835 would be the target to beat in India. Does anyone seriously think they will release MI6 at 20,000?